Sometimes the work we love is also the work we work at -- I know, profound, right? If you'd like to be on the receiving end of my monthly(ish) news letter, where I work to write just for my subscribers, here is the place to sign up. Once you click that little button, I'll also send you a free gift! 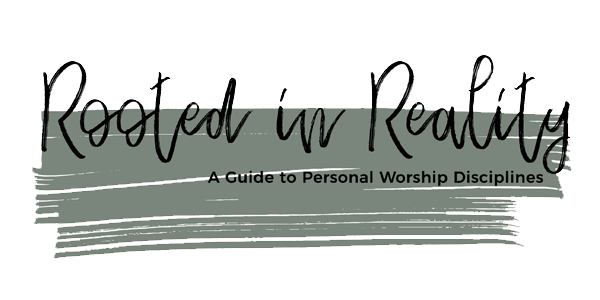 Rooted In Reality is my favorite guide to personal worship disciplines, twelve fresh ways to encourage your time in the Word and with Father God!